"GMAT and GRE scores are valid for five years. Please be advised that in order to apply for admission in Fall 2016, GMAT scores must be dated January 1, 2011, or more recently." 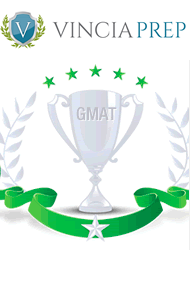 "GMAT scores are valid for five years. Your GMAT score must be valid up through the start of your MBA studies at Columbia Business School. For example, for January 2016 entry, GMAT scores must be dated January 7, 2011, or more recently. For August 2016 entry, GMAT scores must be dated August 20, 2011, or more recently." "GMAT scores are valid for five years after the test date." "GMAT/GRE scores are valid for five years and must be taken before submitting your application. " "If your GMAT test scores are still valid, you do not need to take the Next Generation GMAT which started in June 2012." Also, as you may have heard, the GMAT changed in June 2012. However, many schools still don't pay attention to the new section that was added, the integrated reasoning section, since it's not 5 years old. They may start to give it more weight for the incoming students who will start in fall of 2018 though.